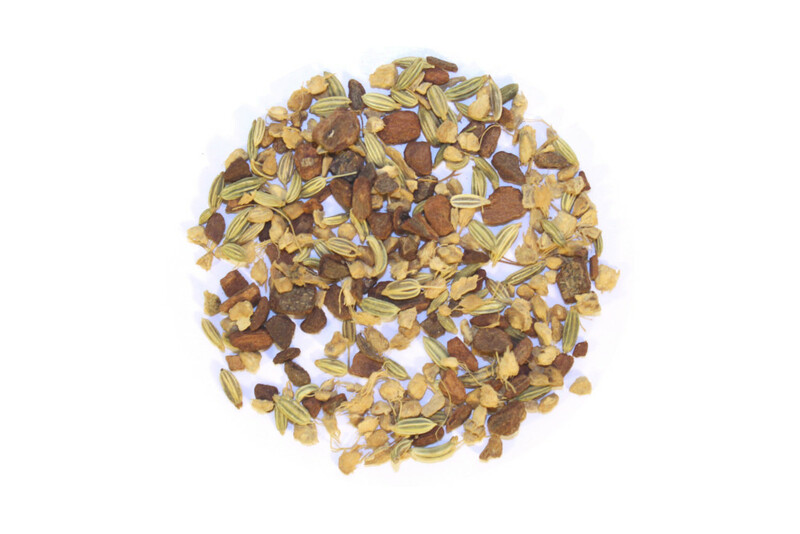 Warming cinnamon, ginger and fennel blended with a touch of vanilla make this a wonderful evening tea. It's not only a delicious and relaxing tea, but is an aid to digestion and an ideal after dinner drink. This versatile tea demonstrates enriched notes of spicy ginger when brewed hot and sweet vanilla when iced. I really didn't care for the cinnamon in this. It reminded me of those red hots candy cinnamon and I personally hate THT. Mixed with the vanilla. Ugh. Not for me. I didn't try it cold tho only hot. I can't get over THT taste enough to even want to try it cold. And I unfortunately ordered a couple ounces of this. This tea is really light, with just a hint of vanilla. I however like darker teas like black tea so this tea was not my favorite.